Georgia Lawmakers Punish Delta Air Lines Over NRA Feud : The Two-Way After the Atlanta-based carrier said it was ending an NRA discount, the state's GOP lawmakers made good on a threat to eliminate a proposed tax exemption on jet fuel worth millions to the airline. A Delta Air Lines flight takes off from Hartsfield-Jackson Atlanta International Airport in Atlanta in January of last year. Earlier this week, Delta — the state's largest private employer, with 33,000 workers statewide — was among numerous companies to announce that it would end discounts for NRA members in the wake of the mass shooting that killed 17 people at a Parkland, Fla., high school. Immediately afterward, Georgia's Lt. Gov. Casey Cagle, a Republican and staunch NRA ally, said he would "kill" legislation to give the airline a sales tax exemption on jet fuel. The proposal, estimated to be worth at least $38 million to Delta and other airlines, had until then been largely uncontroversial. Ignoring warnings that taking on Delta could harm the state's pro-business image, the GOP-controlled House, which had earlier approved a larger tax bill containing the exemption, voted 135-24 on Thursday for a new version stripped of the provision. Meanwhile, some experts have raised First Amendment concerns over the legislature's punitive move. House Speaker David Ralston, a Republican, made it clear that there was a direct link between the vote and the NRA controversy: "I hope they are better at flying airplanes than timing PR announcements," he said. The Senate passed the tax cut bill 44-10. Republican Gov. Nathan Deal, who called the Delta controversy an "unbecoming squabble," said he would sign the broader tax measure. Lt. Gov. Cagle is widely seen as Deal's successor. In a statement, he said: "Businesses have every legal right to make their own decisions, but the Republican majority in our state legislature also has every right to govern guided by our principles." Delta did not immediately comment on the votes, but the controversy has prompted several states in recent days to lobby the airline to relocate its headquarters. Virginia Gov. Ralph Northam, a Democrat, tweeted Tuesday: "Hey [Delta] —Virginia is for lovers and airline hubs. You're welcome here any time." 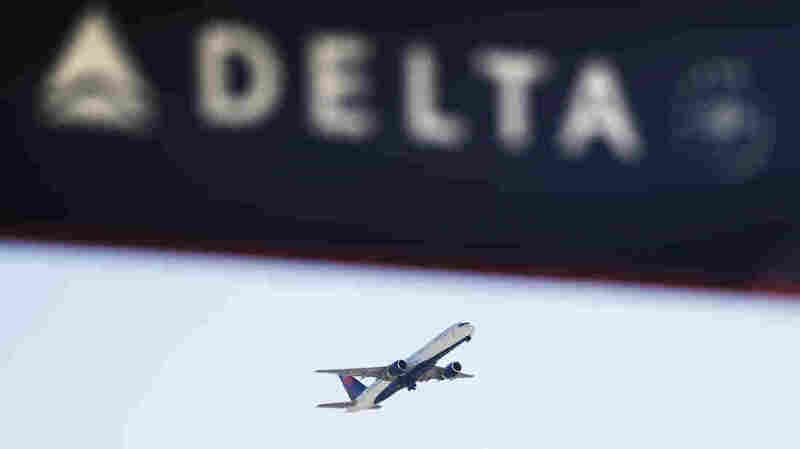 The governors of Connecticut and New York, also Democrats, have also pitched their states to the airline, according to The Associated Press, which says the mayor of Birmingham, Ala., and a congressional representative from Ohio "also have reached out to Delta in recent days."